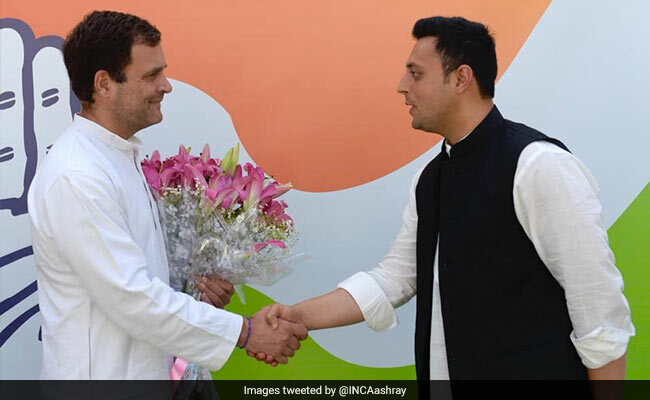 A day after allocation of Congress ticket to Aashray Sharma from Mandi parliamentary seat, Anil Sharma told PTI that he would not campaign against his son. Aashray Sharma was seeking a BJP ticket from Mandi but Congress allocated it to him. Power minister in the BJP government in Himachal Pradesh Anil Sharma has said that he would not campaign against his son Aashray Sharma, who has been declared the Congress candidate in Mandi. As an elected BJP legislator from an assembly segment falling under the Mandi parliamentary seat, he is expeted to campaign in favour of BJP candidate sitting MP Ramswroop Sharma and against Congress candidate Aashray Sharma. Anil Sharma said, "I have already conveyed it to the BJP leadership after my father Sukh Ram and my son rejoined Congress on March 25 that if Aashray Sharma is given a Congress ticket, I would not campaign against him." Pressed further, he said, "We will see, what to do (on this issue)." The power minister in Himachal Pradesh said, "I am ready to campaign in favour of BJP candidates contesting on other seats except Mandi." Anil Sharma's son Aashray Sharma was seeking a BJP ticket from Mandi but the BJP preferred to renominate sitting MP Ramswroop Sharma. Subsequently Aashray Sharma along with his grandfather rejoined Congress on March 25 and the Congress fielded him from Mandi on Friday.